Todd Phillips and Joaquin Phoenix look set to deliver something very special this year with Joker and it appears that the hype machine for the film is about to properly kick off this week, as there’ll be a teaser trailer tomorrow that’ll give us our first proper look at Phoenix’s take on the Clown Prince of Crime. In the meantime though, Phillips has released the first official poster for the movie on Instagram. It’s a fairly restrained piece of work – as you can see down below – and all the more creepy for it. 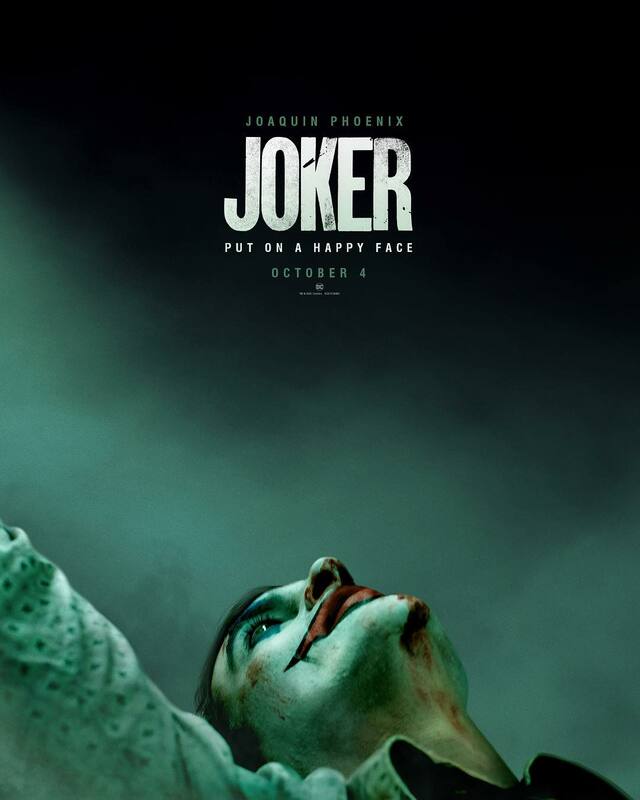 Mostly empty space, we get a very strange view of Phoenix’s Joker in full clown-makeup at the bottom of the poster, with what appears to be blood smeared across his face. Aside from that, we also see the film’s tagline: “Put on a happy face,” a reference to the song of the same name from the classic movie-musical Bye Bye Birdie. Everything that we’ve seen of the film so far indicates that Joker will take a lot of inspiration from Alan Moore and Brian Bolland’s The Killing Joke. Recently adapted (with, it has to be said, middling results) into a DC animated effort, the story quickly became the seminal Joker origin tale. It shows how one (really) bad day can turn an ordinary man into a supervillain, including elements we know to be in the film like Phoenix’s Arthur Fleck being a failed entertainer. Aside from that, the set pictures we’ve seen indicate that Phillips is pulling inspiration from across the Batman canon: from the Joker’s earliest appearances in Detective Comics, through to Heath Ledger’s unforgettable appearance in The Dark Knight and even back to the pop-art colorfulness of Cesar Romero in the 1966 series. Joker is set to hit cinemas on October 4th and I, for one, can’t wait to see what it turns out to be.